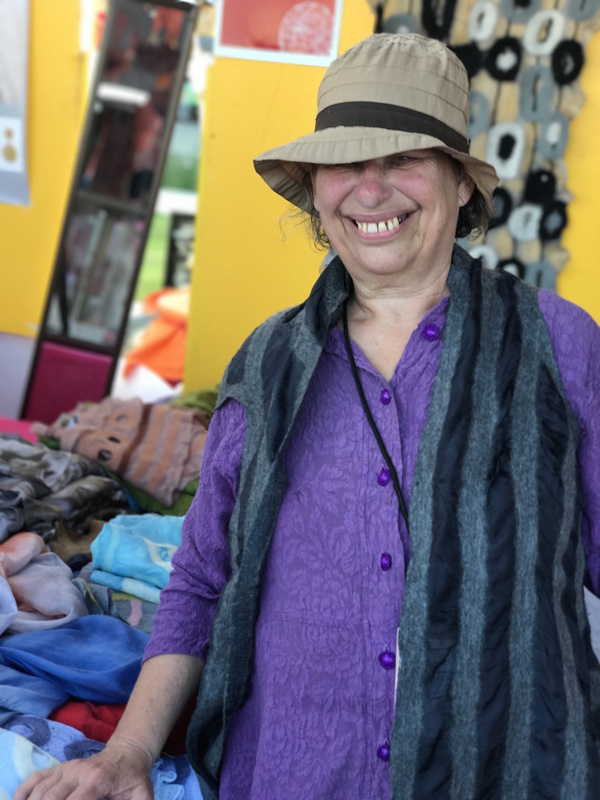 The University of Arlington hosted the Santa Fe International Folk Art Market at Arlington July 16- July 17, 2017, a charity event benefiting the International Folk Art Alliance. This event was a cultural enthusiast’s dream! The IFAM featured goods from artists from around the wold, most alongside the artist responsible for creating them! 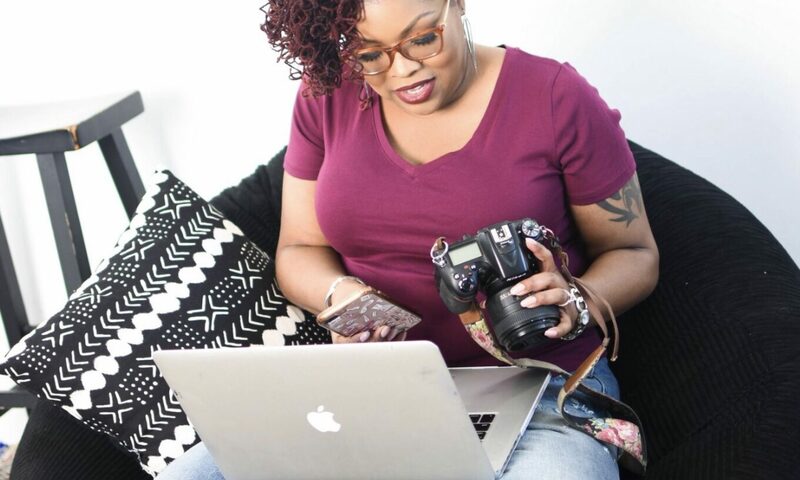 From Friday night’s All White Soiree to Saturday’s action packed family friendly day of fun -this event, and it’s featured artists, is one to stay ‘in the know’ about. It was a pleasure to meet and speak with some of the artists about their works and the inspiration behind them. Many of the artists’ craftsmanship was handed down to them through generations. There were assistants or family members of the artists who also had first hand experiences and involvement with the creations we admired. The Roots project was founded in 2009 by South Sudanese Human Rights Activists, Anyieth D’Wol. ROOTS of South Sudan is a independent, women-led project located in Juba, South Sudan that consists of 55 members (women), from 15 Sudanese tribes. 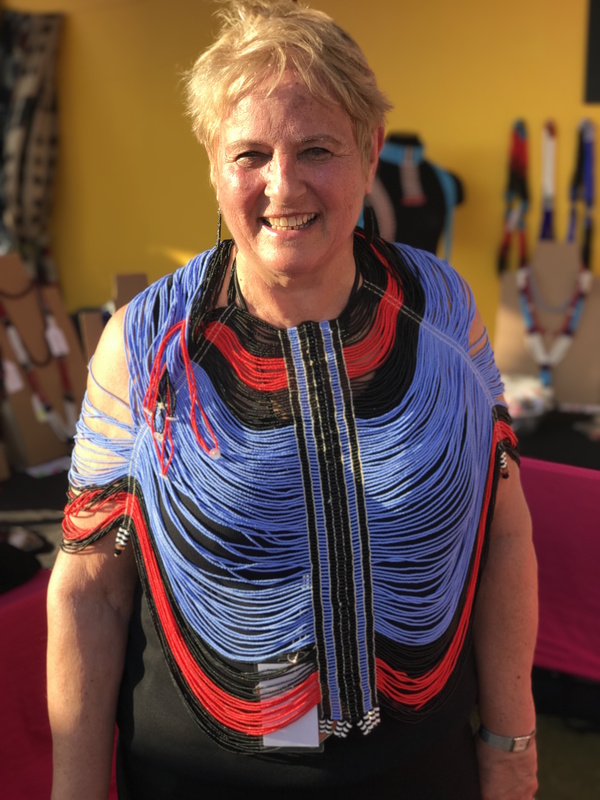 Pictured above is Pam McKulka, Anyith’s mother-in-kaw, adorned in a Dinka corset. These beaded corsets are worn by young women in the tribe, who are announcing their readiness for candidates for marriage. This piece was crafted by Mary Padar. Read more about her and the other Women’s Stories HERE. 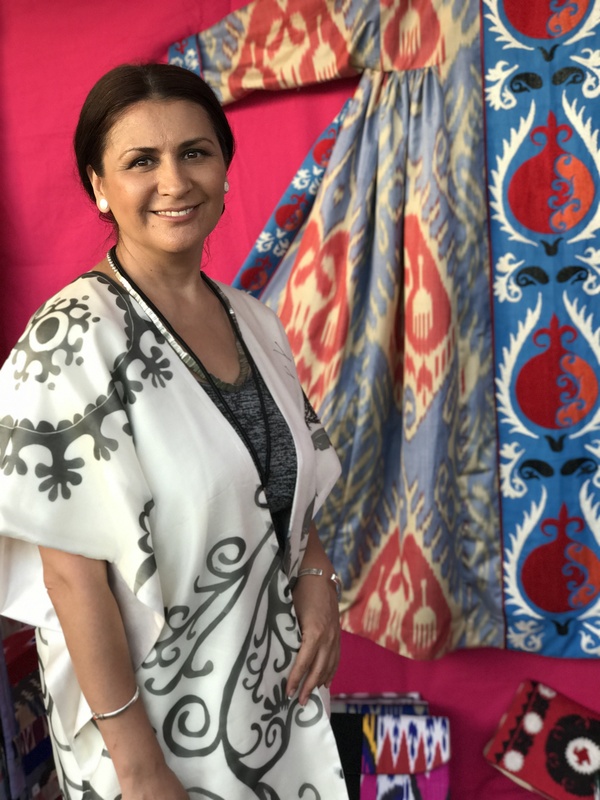 Muhayo Aliyeva is the founder, photo & fashion artist of Bibi Hanum who has been designing since 2006. There’s a 32-step intensive, handwoven process involved in creating the beautiful Ikat fabric that served as her fashion inspiration. She explained the wow factor of seeing a pattern go from being a drawing to a beautiful creation. 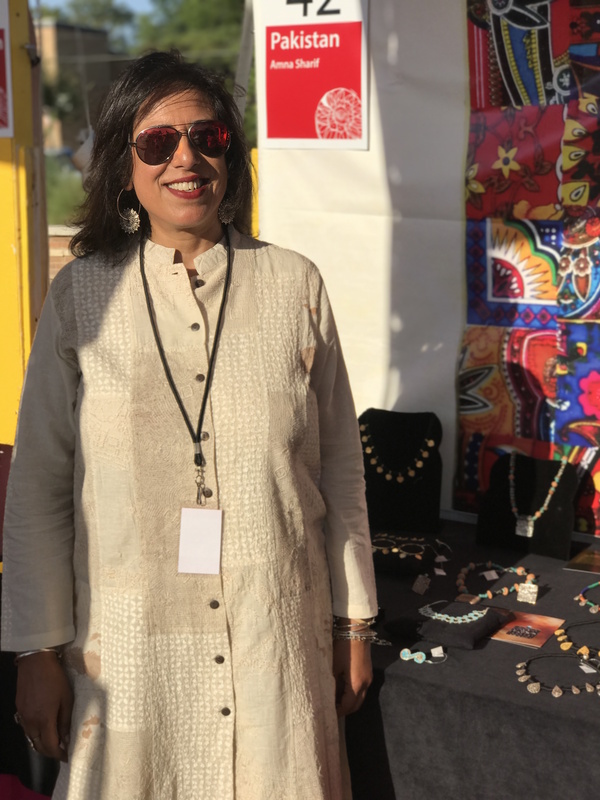 Amna Shariff has been handcrafting jewelry for over a decade. Her inspirations for becoming a designer were to learn a craft that she could do with her own hands, and to revive the use of silver jewelry in Pakistan. She recalled her grandmother and the women in that generation having a lot of silver jewelry, but noticing that they wore more gold. Anna learned the traditional techniques of working with silver, and included a more contemporary look to her designs for ease of wear. She also told me that she absolutely loves being a designer and looks forward to designing for years to come! Candra Day spoke about handmade scarves from Kyrgyzstan, by artist Aidai who has been making scarves for about 15 years. The textile is made of handwoven silk, and wool felt. The material is felted together, which means there is no stitching involved at all! Attendees of Friday night’s all white Soiree enjoyed the rhythmic, soothing sounds of live music, cocktails, and delicious cuisine bites by an on-site Chef. It was a typical, nearly summer, hot and humid night in Texas, but guests cooled down with popsicles from Max Frut. It was a grand time! In addition to the Folk Art, Saturday was action packed with a host of performances from various traditions across the globe. Some of the entertainment included the following.